Sony’s latest mid-range device – Xperia SP has finally made its way to the UK’s market yesterday. Dubbed as the younger brother of the Xperia Z, the Xperia SP do come with some impressive technology onboard including a 1.7GHz dual-core Snapdragon S4 Plus processor packed with Adreno 320 GPU. Other key specifications include a 4.6-inch TFT LCD display, 1GB RAM, 8 megapixels rear camera, 0.3 megapixels front camera, 8GB internal storage, 2,370 mAh battery, as well as Android 4.2.2 Jelly Bean running in the background. If you’re interested, the Xperia SP is now up for grabs from T-Mobile at a price of just £249.99 under the Pay As You Go scheme. Similarly, you can also get the device for free if you’re willing to commit to a 2 years mobile contract with T-Mobile which will cost you £21 every month. Other carriers that will be carrying the device include Orange, Three UK and O2. 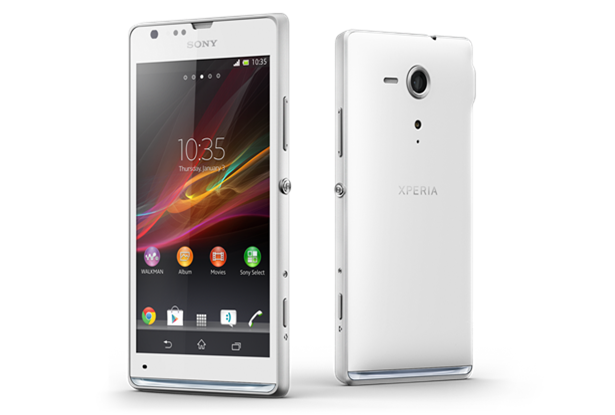 As of now, the Xperia SP has yet to hit any retailers across UK but they’ll probably be arriving in the next few weeks. In the meantime stay with us for more updates on the availability of the Xperia SP!